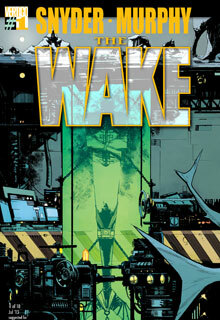 HomeDigital ComicsAndroid ComicsDigital Spotlight – The Wake #1 and More – New This Week! Digital Spotlight – The Wake #1 and More – New This Week! DC Comics have released this weeks comics available on iOS, Android or online. The spotlight this week is the new series – The Wake #1! Digital First, Special Monday Release! Digital First, Special Tuesday Release! Digital First, Special Saturday Release! Digital First, Special Friday Release! All DC COMICS —THE NEW 52 titles are available digitally and in print at the same time. Go to readdcentertainment.com to find your local comics shop! Dark Horse Comics & Dynamite Entertainment: All-new King Conan series launches now!